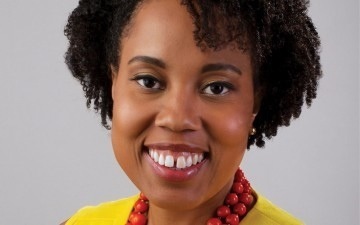 CHICAGO (April 22, 2014) — Desiree Rogers, CEO of Johnson Publishing Company (JPC), today named Mitzi Miller as the new editor-in-chief of EBONY magazine, effective immediately. While at the helm of JET magazine, Miller revamped the iconic 62-year-old brand with the magazine’s first and only successful redesign, re-launch of the Jet website and an increased social media presence. An award-winning journalist and bestselling author of five books, Miller is regularly a featured guest on several national television programs, including ABC’s Good Morning America, TV One’s News One Now with Roland Martin, MSNBC’s Melissa Harris-Perry and CNN’s CNN Newsroom.